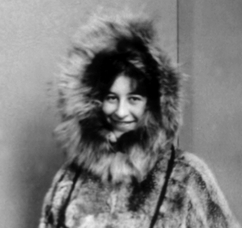 Young Margaret Murie, who would become an ecologist, environmentalist, author, and recipient of the Presidential Medal of Freedom, the highest civilian honor awarded in the US. In her classic memoir Two in the Far North (Knopf, 1962), about finding love and adventure in Alaska with the great naturalist Olaus Murie, Margaret Murie tells of traveling via dog team and horse-drawn wagon in 1918, over the trail which would become the Richardson Highway. 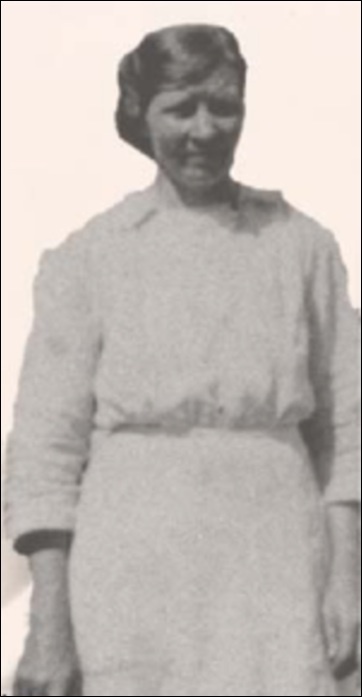 The future author, ecologist, and environmentalist, who would be called ‘the Grandmother of the Conservation Movement’ by both the Sierra Club and the Wilderness Society, was only fifteen years old, but she was making the trip from her home in Fairbanks to Cordova, where she would meet her father and her brother. At one point she is riding in the sled of a dog driver named French John, and after dinner and a few hours of sleep at the Black Rapids roadhouse, he awakens her to continue the journey south. “I was tucked into a big wolfskin robe in John’s basket sled sometime around midnight. For now the snow even high in the mountains was thawing and we must still travel at night. But not silently, for John poured forth one story after another of the North, of his dogs, even while he struggled to keep the sled on the thawing, sliding trail which led up and around and ever up, with the high peaks glistening above us. A dogteam on the Fairbanks-Valdez trail. “Bell? I sat up. We had come onto a level pass, and out in the middle hung a large bell in a framework of heavy timbers. A few yards away there was a black hole in the snow, and above the hole, smoke. 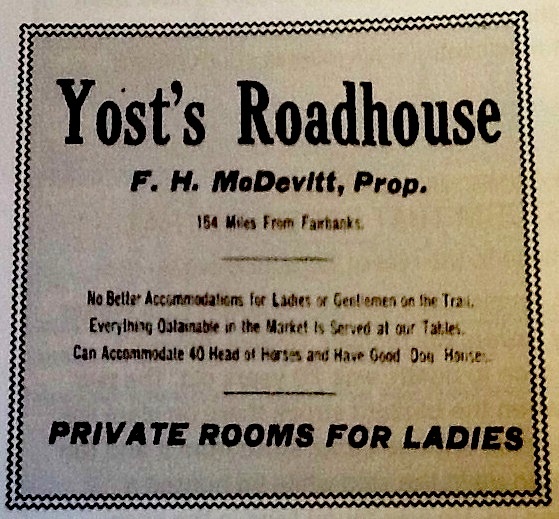 Yost’s Roadhouse. The tall pole on the left holds the bell which would guide lost travelers to the roadhouse. A flood of the Delta River in March, 1916 overran the roadhouse. 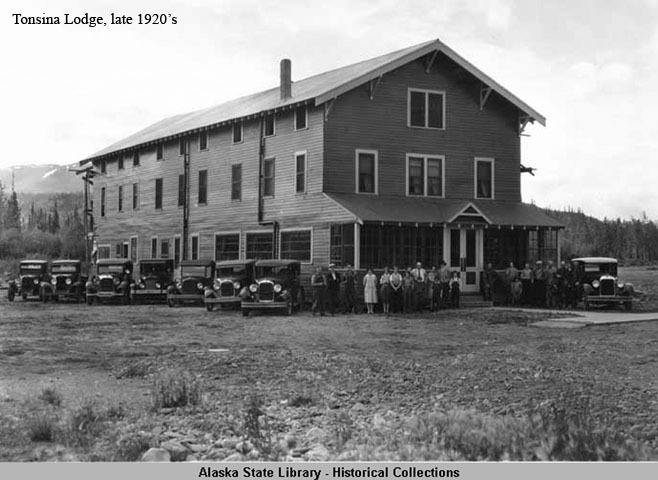 The Alaska Road Commission reportedly used the site as a camp for their men and equipment while working on improvements to the Richardson Highway during the 1920’s and ’30’s, but nothing remains at the site today. 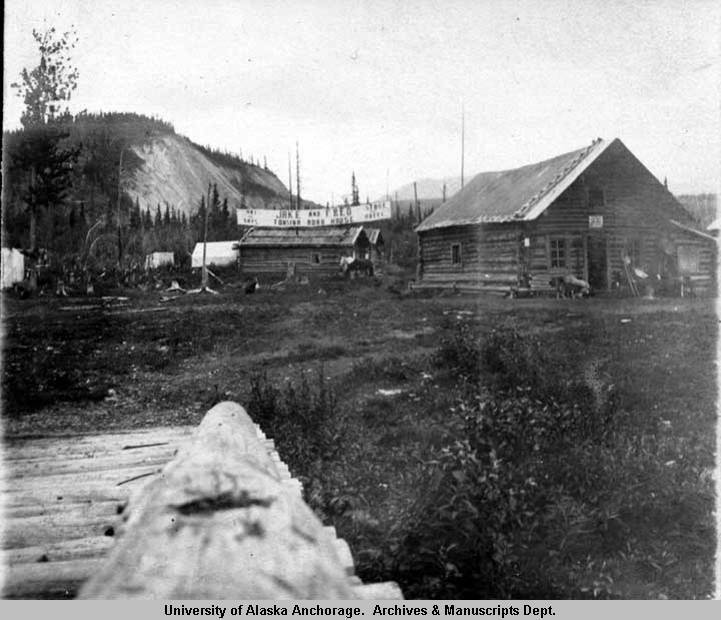 This entry was posted in Richardson Highway, Roadhouses and tagged Alaska Road Commission, Charlie Yost, Delta River, Fairbanks, Fairbanks-Valdez Trail, Helen Hegener, Margaret Murie, McCallum Creek, McCallum's Roadhouse, Phelan Creek, Richardson Highway, Valdez-Fairbanks Trail, Yost's Roadhouse on May 27, 2015 by Helen Hegener. 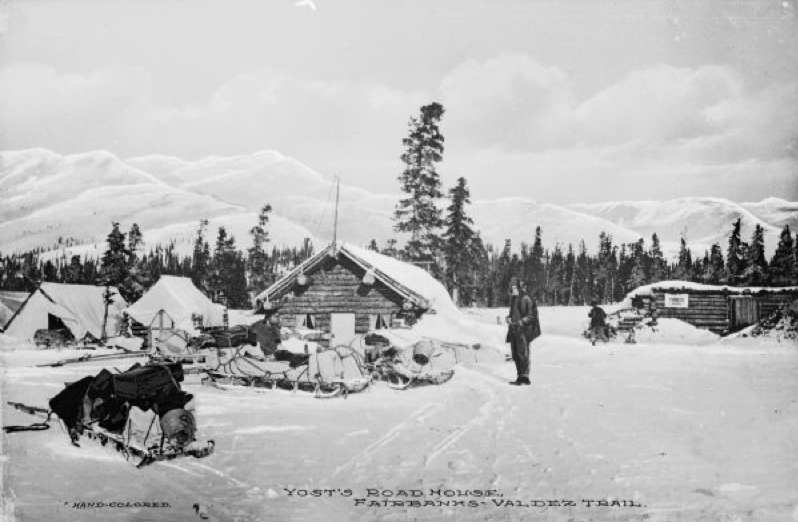 The Richardson Highway, originally designed as the Valdez-to-Eagle pack trail and built in 1898 by the U.S. Army, provided an “all-American” route to the goldfields of the Klondike in Canada. 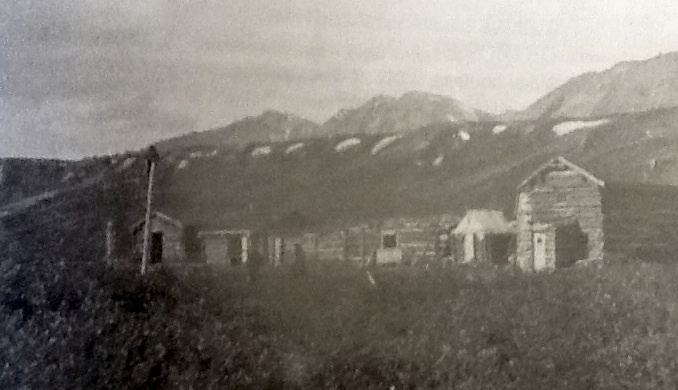 The Army kept the trail open after the rush for gold ended, as it was the only direct route between Fort Liscum in Valdez and Fort Egbert in Eagle. 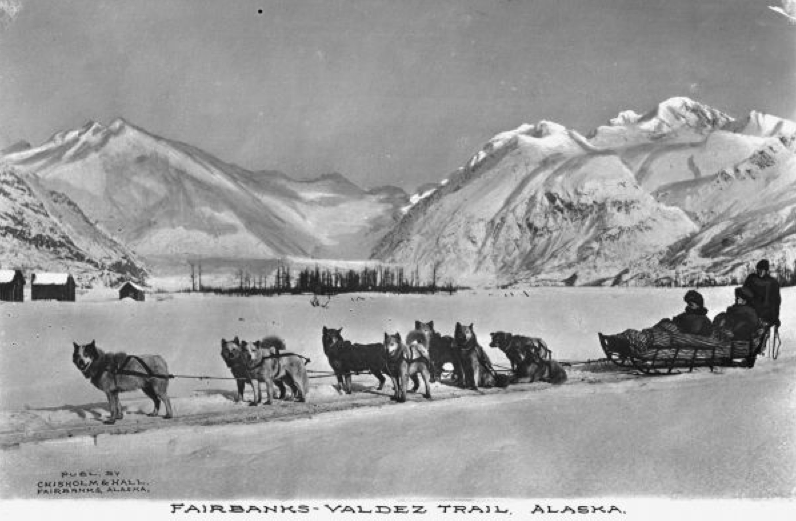 In 1902 a westerly branch of the trail, the Valdez-Fairbanks Trail, became one of the most important access routes to the Interior during the Fairbanks gold rush. The Tanana was one of the major rivers to be crossed on the Valdez-Eagle trail, and a ferry was established just upriver of the Tanana’s confluence with the Delta River, at a location then called Bates Landing, now known as Big Delta. A year later Bennett sold his land and the roadhouse to Daniel McCarty, and it became known as McCarty’s. 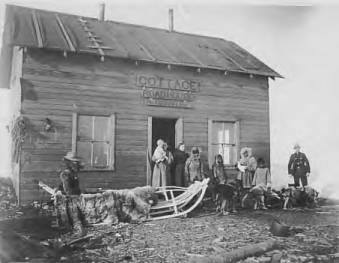 By 1907 the McCarty Trading Post and Roadhouse had been transferred to another prospector, Alonzo Maxey, who had built a competing establishment he called Bradley’s Roadhouse. 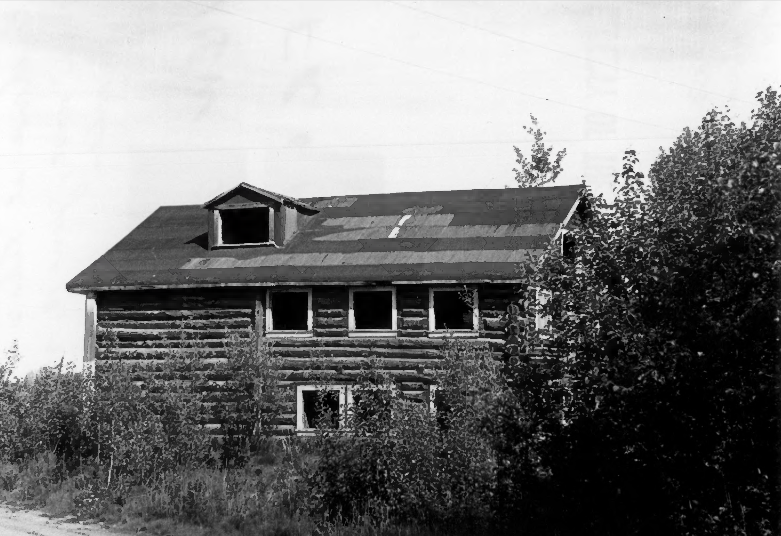 Around 1909, John Hajdukovich, who had come to Alaska from Yugoslavia in 1903, purchased the property from Maxey and built a newer, larger roadhouse, using logs which had been floated down the Tanana River. The new roadhouse was three stories high and could serve forty guests at a time. Hajdukovich was also a gold prospector, a freighter, and a hunting guide, and these pursuits led him to become an advocate for the Athabaskan natives of the area, on whose behalf he was instrumental in founding the Tetlin Indian Reserve in 1930, revoked upon passage of the Alaska Native Claims Settlement Act in 1971. 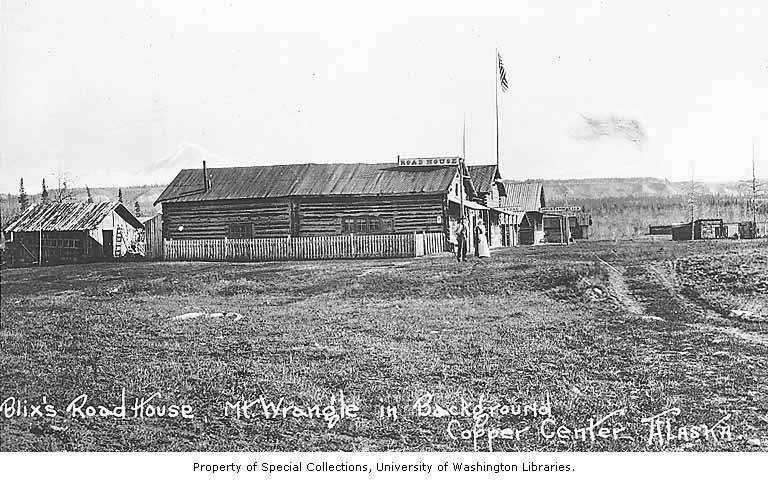 He was appointed U.S. Game Commissioner for the region, and around 1917 he hired Rika Wallen to manage operations at his roadhouse, which at the time was still known as McCarty’s. Rika Wallen lived at and ran the roadhouse until the late 1940s, raising poultry and livestock and growing fruits and vegetables which let her serve customers fresh meat, produce, eggs and milk. She passed away in 1969 and is buried on the grounds of what is now a state park. 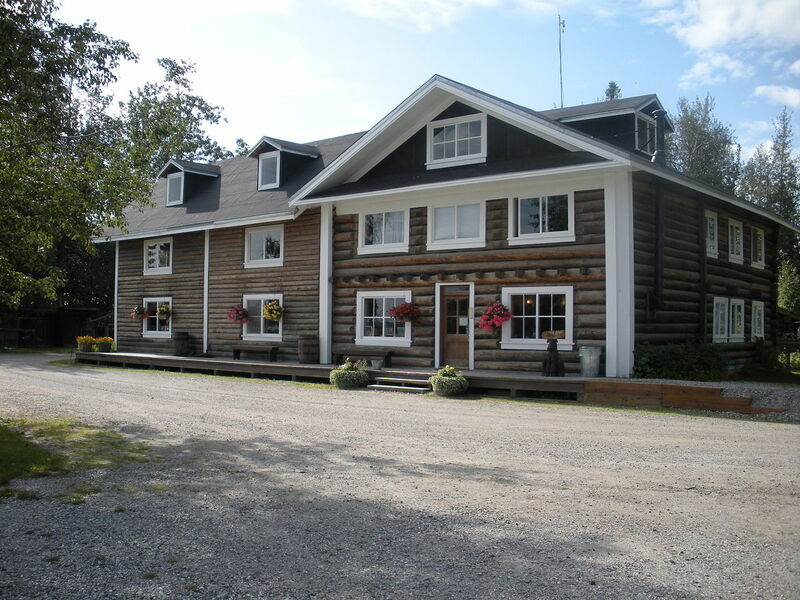 In the late 1970s the roadhouse was lovingly restored and furnished in the style of the 1920s and ’30s with antiques and artifacts donated by residents around Big Delta. The Rika’s Landing Roadhouse is listed on the National Register of Historic Places and serves as the centerpiece of the Big Delta State Historical Park. 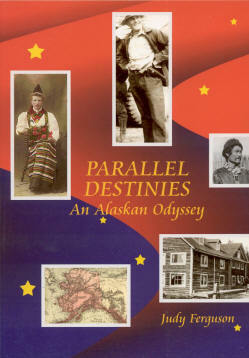 Parallel Destinies, a book by Delta Junction author Judy Ferguson, tells the story of John Hajdukovich and Rika Wallen, and the history of the upper Tanana River area. This entry was posted in Richardson Highway, Roadhouses and tagged Alonzo Maxey, Bates Landing, Ben Bennett, Big Delta, Daniel McCarty, Delta River, Fort Egbert, Fort Liscum, John Hajdukovich, Judy Ferguson, McCarty's Roadhouse, Parallel Destinies, Richardson Highway, Rika Wallen, Rika's Landing, Rika's Roadhouse, Tanana RIver, Valdez-Fairbanks Trail on April 28, 2015 by Helen Hegener. Copper Center, near the confluence of the Copper and Klutina Rivers, about 65 miles northeast of Valdez, was founded in 1896 when Ringwald Blix, born in Norway in 1872, and his wife Frances, born in Missouri the same year, built the Blix Roadhouse, one of Alaska’s earliest, for an estimated $15,000. 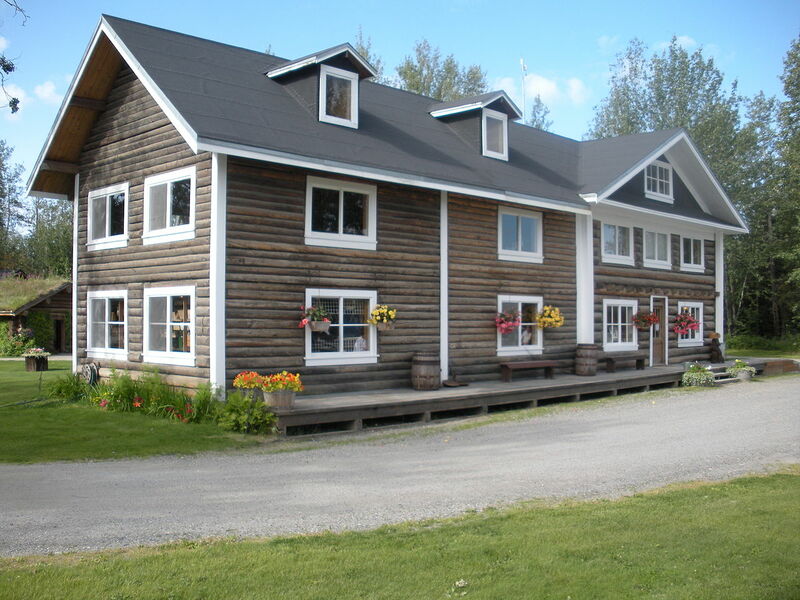 Featuring spring beds and a modern bath, the roadhouse was very highly regarded for its outstanding services and became a favorite among travelers. 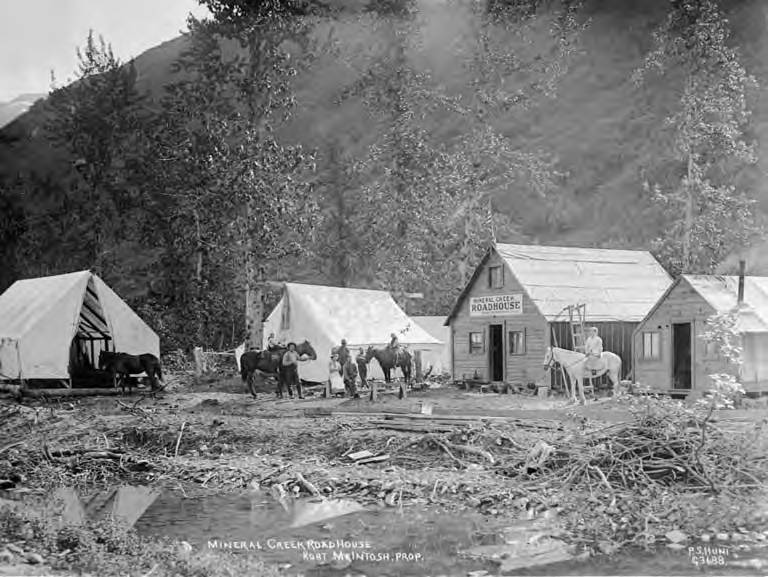 The community of Copper Center was further established as a mining camp during the winter of 1898-99 when about 300 prospectors settled in to wait for spring. 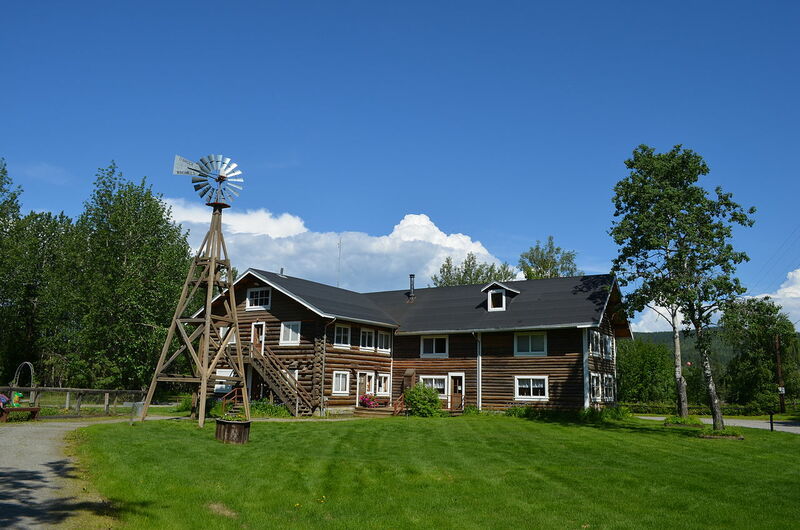 Seeking an all-American route to Dawson City and the Klondike gold fields, they’d crossed the Valdez Glacier, descended the Klutina Glacier to Klutina Lake, then made their way down the treacherous Klutina River to the new settlement. Of the estimated 3,000 persons who attempted traversing this route, only about 300 actually arrived at the Copper River. 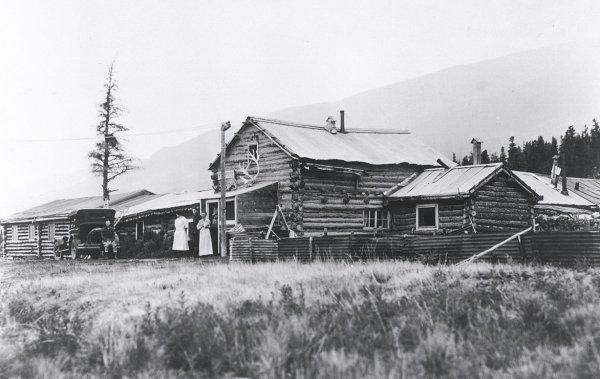 In 1932 the original Blix roadhouse burned, but it was soon replaced by the Copper Center Lodge, which was featured on the National Register of Historic Places until it was destroyed by a fire in May, 2012. 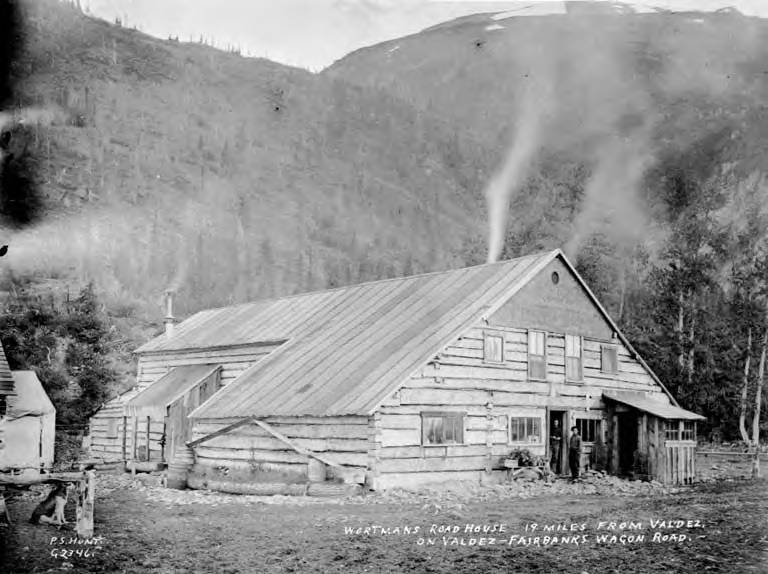 This entry was posted in Richardson Highway, Roadhouses, Valdez-Eagle Trail, Valdez-Fairbanks Trail and tagged Blix Roadhouse, Copper Center, Copper Center Lodge, Copper River, Fairbanks-Valdez Trail, Klutina River, Paxson, Richardson Trail, Ringwald Blix, Valdez, Valdez Creek on April 21, 2015 by Helen Hegener.